It’s a Blake Shelton two-fer! 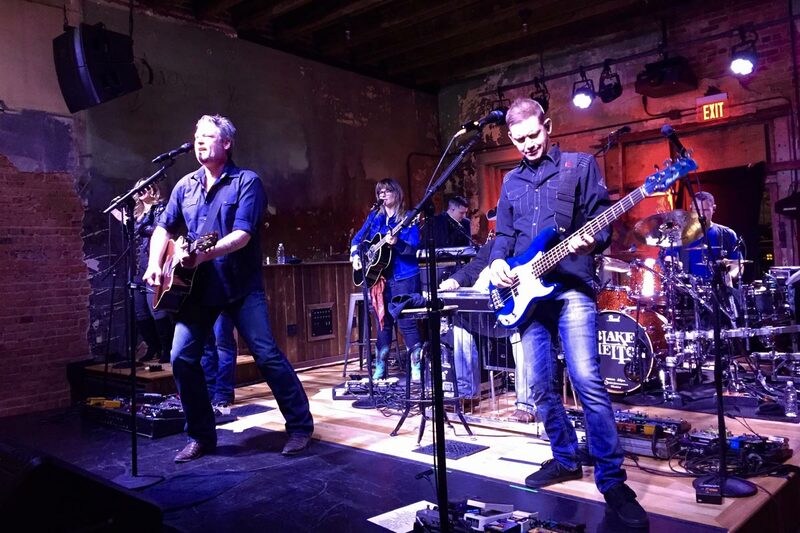 Just after surprising Ole Red Nashville with a pop-up performance earlier in the week, Blake did it all over again at Ole Red Tishomingo on Friday, January 25. Rather than taking to Twitter to tell his fans, Blake kept things quiet — but when he showed up that evening to perform, the place was anything but. Lucky audience members were up on their feet dancing during Blake’s three-hour set. This isn’t the first Blake sighting at Ole Red Tishomingo and it certainly won’t be the last. Sometimes he pops in for dinner in his adopted hometown, and other times he’ll play a whole show. Okies can look forward to seeing him again on the opening night of his “Friends and Heroes Tour” when it kicks off in Oklahoma City on February 14. You never know when Blake might stop by again. Be the first in the know by following us on Facebook, Twitter, and Instagram.